As they look to re-load for the 2019 season, the Minnesota Twins have just added a lot of power to their lineup. Multiple outlets are reporting that that Twins have reached a deal with slugger Nelson Cruz. The deal is reportedly for one year and $14 million with a $12 million club option or $300,000 buyout for the 2020 season. As of Thursday morning, the deal is still pending a physical and not yet official. 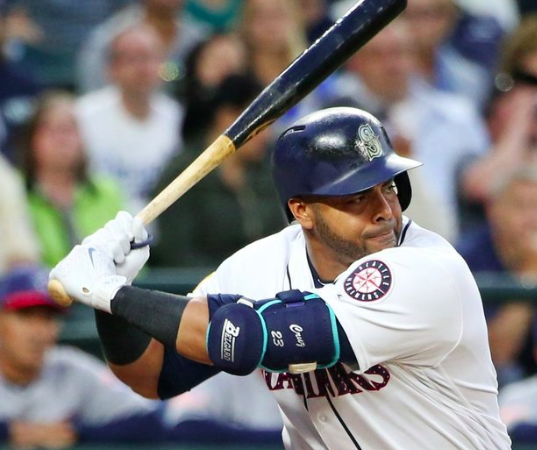 The 38-year old Cruz is heading to Minnesota after four seasons with the Seattle Mariners. With Seattle in rebuilding mode, the Mariners had little interest in retaining the aging DH. However, the small-market Twins have been linked to Cruz for most of the offseason. On the surface, he appears to be the perfect short-term addition for a team that will try to compete in a somewhat open AL Central next year. Despite his advanced age, Cruz is still one of the best power hitters in baseball. In fact, he has the most home runs in the majors over the last five years. His OPS this past season dropped to .850 after three straight seasons being over .900. However, Cruz still hit .258 with 37 home runs and 97 RBIs while compiling over 500 at-bats. He has shown no signs of slowing down, making him a safe bet on a one-year deal. With Joe Mauer retiring after last season and the Twins declining the option on Logan Morrison, Minnesota had an opening for a full-time DH. Of all the free agents available, Cruz is arguably the best fit for such a role. While he was still playing the outfield part-time with the Mariners as recently as 2016, Cruz has played just nine games in right field over the past two seasons. However, that shouldn’t be a problem for the Twins, who appear set in their outfield. Cruz serving as Minnesota’s primary DH means C.J. Cron and Tyler Austin will likely split duties at first base. Austin is not yet a proven big league hitter whereas Cron is coming off a career-high 30 home runs with the Rays last season. That power should continue with Cruz serving as protection behind him. The presence of Cruz will also force Miguel Sano to make his living at third base after a disastrous, injury-plagued 2018 season. While the Twins may lose a little versatility with Cruz entrenched at DH, he does help provide them with a consistent power threat. Sano is not a sure thing after last season and the Twins no longer have Brian Dozier to anchor their lineup. But the additions of Cruz and Cron give the Twins five players with at least 20 home runs last season alongside Eddie Rosario, Max Kepler, and Jonathan Schoop, who was signed earlier this winter. That group should give the Twins a formidable heart of the order. Even if Cruz’s best days are behind him, he still appears to have plenty left in the tank. There’s little doubt that Cruz is still a viable power threat. He may not be able to carry Minnesota’s lineup in 2019. But he should provide a much-needed lift to a lineup that on paper already looks better than it did in 2018.